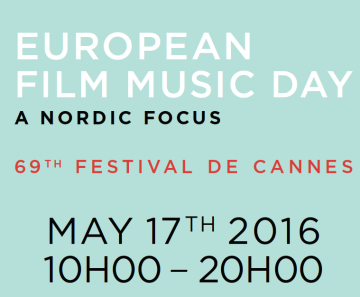 The European Film Music Day (EFMD) is a platform highlighting the value of film music and the creative craftsmanship of composers, film-directors and screenwriters, will take place in Cannes on May 17. A panel on gender balance and equality of chances within the audio-visual sector. Focus on the experience of best practice in the Nordic countries from the point of view of composers and film directors. Panel discussion on the modernization of the EU copyright rules. Business model in the digital age, fair remuneration for authors and exchange of best practices on how the audio-visual sector works in the Nordic countries. To register, please contact francisca.aas@composeralliance.org by May 6.